The single-serve Nespresso pods are damaging the environment with each passing day. They create a lot of waste that goes un-recycled, hence contributing to the pollution at an alarming rate. The worldwide love affair with the product is no secret, yet it is adversely affecting the environment. Each day, tens of millions of coffee lovers from all over the world consume coffee pods. The single-serve Nespresso pods are not recycled properly and they end up in the landfills. The time a single aluminum coffee pod takes to completely breakdown in a landfill is 150-500 years. Each year billions of these aluminum capsules end up as waste in Europe, America and Australia. Nespresso pods are responsible for producing aluminum waste (Aluminum is also a chief material in making capsules). A single pod contains 1g of aluminum; now imagine how much aluminum is there in millions of capsules used each day. There are some components of the pod that are recyclable, but most of them end up straight in the bin after one use. The number of recycled pods is way less than the unrecycled ones. A minority of capsules get recycled in comparison to billions of pods used each year. The acknowledgment is there about the seriousness of the issue, but they need to take proper steps to eradicate the problem. Recycling aluminum pods take extra 5% of energy than producing aluminum from the ore. The pod itself cannot recycle easily because it is made of plastic and aluminum. The pod’s body and perforated top are made of aluminum. A capsule contains about 5-6 grams of ground coffee, and the packaging is of 3 grams. Since it makes one serving of coffee, the ratio of unrecycled Nespresso pods is rising at an alarming rate. Jean Paul Gaillard says that using Nespresso capsules will result in a disaster and it is time for people to move on. He believes that just for the sake of convenience, people shouldn’t sacrifice the environment. Nespresso has strongly defended its use of aluminum for the coffee pods since it helps in keeping the coffee fresh. They have faced a worldwide backlash, and they have launched a new pod recycling scheme to address the issue. The six-month pilot will be operating across London Borough of Kensington and Chelsea. 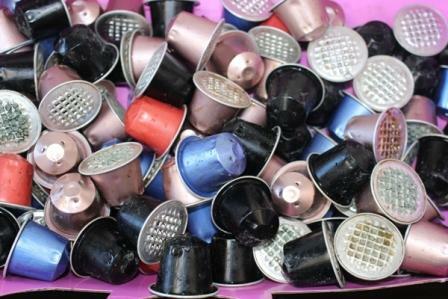 It’ll work in a manner that Nespresso coffee club members will be given special purple bags to recycle their used pods. They will be collected along with usual household recycling and sent back to Nespresso recycling facility. The new recycling scheme is welcomed by the people since it is more convenient for the users. It has to be seen how much effective this new scheme is going to be, but one thing is for sure that Nespresso is taking steps to solve an ever growing issue. The brand is trying to make amends, and one of the initiatives that they took involves manufacturing completely recyclable pods: OriginalLine, VertuoLine, and Nespresso Pro. Another option for the users is to use reusable capsules. This will surely decrease the waste created and in addition, it will also save some money. 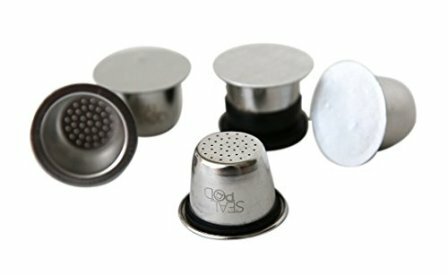 Reusable capsules as the name suggests can be used again and again to make a cup of coffee. There are many brands like Recap and Sealpod working on this principle. 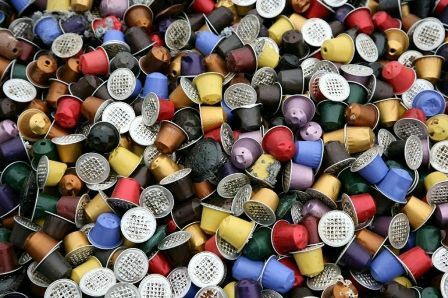 We have already written a thorough guide about the Nespresso coffee capsules and where to buy these to save environment in one of our previous article. The coffee pods are contributing to world’s pollution, Nespresso needs to come up with an effective solution to this problem and they need to come up fast! It is obvious that our love for coffee won’t deteriorate, but now is the time we start drinking coffee with some responsibility. We have to play our part too in making the environment clean.